New EIA Regulations to replace the 1999 Regs, including increasing the screening threshold for industrial estate development to 5ha (except within a sensitive area as defined), plus three replacement threshold criteria for urban development projects (raised from 0.5ha): if it includes more than 1 ha of non-residential development or includes more than 150 dwelling houses, or the total area exceeds 5ha - then it would need to be screened. The changes also update the Regulations in line with the previous requirements in terms of screening extensions to projects and requirements relating to multi-stage consents in terms of the potential for further information. A Development Management Manual is due to be issued when the legislation comes into force. The Urbanists provide extensive planning consultancy services covering the above requirements, including consultations, and would be pleased to assist with any enquiries. Please contact Mark Farrar to discuss any aspect of these changes in more detail or for further information. Planning Policy Wales Edition 8 was published this week, incorporating a number of legislative changes and additions that occurred last year. Chapter 4 Planning for Sustainability now takes into account the Well-being of Future Generations Act 2015 that was signed into law in April 2015. The Act sets out seven Well-being goals that public bodies must work towards, as a result PPW 8 lists existing planning policy objectives under the relevant Well-being Goals to ensure a clear link between planning and achieving well-being for the population. PPW now also contains the new definition of Sustainable Development as set out in the Well-being legislation. Welsh language considerations have been amended within Chapter 4 to include the provisions of the Planning (Wales) Act 2015 which was enacted in July 2015. This Act includes that impacts on Welsh language may be a material consideration in any planning application, at the discretion of the decision maker. On this note the Welsh Government is also consulting on proposed revisions to Technical Advice Note (TAN) 20: Planning and the Welsh language this week. Edition 8 contains Chapter 2 Local Development Plans, to reflect the recent changes to the LDP Regulations that are intended to make the LDP process more efficient by simplifying certain aspects of the process. This update to planning policy is welcome giving clarification to the important relationship between the Well-being Act and planning, as well as reinforcing the significance of the welsh language and recent LDP process refinements. James Brown, Director of The Urbanists shares his thoughts on the Metro here. Last week I attended the ‘4th Annual: Major Infrastructure and Renewable Energy Planning in Wales’ Conference, which provided developers with a master class on Welsh Government’s impending Developments of National Significance system. The Development of National Significance (DNS) system is a new procedure for granting planning permission for development that will deliver nationally important infrastructure in Wales. The system is proposed to make the determination of the planning applications for these developments quicker and more efficient. This blog identifies the key features of the DNS system and potential implications for development and developers. The DNS system will determine large and complex planning applications for development that will deliver nationally important infrastructure (energy, waste, water and transport). Development that will be determined through the system will be that which is too large to be determined at the local level, but which is too small to be determined as a Nationally Significant Infrastructure Project (NSIP). Prominent development proposals like Cardiff Capital Region Metro or the redevelopment of Cardiff Airport could therefore be subject to the DNS system. However, onshore energy developments with capacity to generate over 50 MW and prominent offshore energy developments, like the Swansea Bay Tidal Lagoon, will not. Planning applications will be determined by written representations, hearing or public inquiry (but written representations will be preferred). Prepare a consultation report that demonstrates compliance with the statutory pre-application consultation requirements. Developers will also be encouraged to prepare written statements confirm s106 obligations agreed with a Local Planning Authority and enter into Statements of Common Ground with consultees. Given the nature of the developments that will be determined through the system the emphasis placed on frontloading is sensible. However, it is difficult to conceive that all issues and subsequent objections can be removed during the application preparation stage when led exclusively by the developer, as opposed to a neutral mediating planning authority. Removing issues and objections will require developers and stakeholders to negotiate. While this process can unlock unforeseen benefits for developers, there is also a limit to which negotiations can go before the developments viability and primary benefits can become compromised. Furthermore some stakeholders will not want to negotiate with developers. Given the complex and controversial nature of the developments that will be determined through the DNS programme, it is likely that there will be instances where developers undertake extensive pre-submission engagement at considerable cost and are not able to de-risk the application to the extent required prior to submission. Rather, outstanding issues and objections (and there could be many) will be transferred to the determination process. It is possible that this will place a significant strain on the procedural process and the resources of those involved and result in planning decisions being delayed. Frontloading would surely be far more achievable if PINS was empowered to take a more active and mediating role during the application preparation phase. This would require greater capacity to be given to PINS, but the involvement of a mediating authority would provide developers and stakeholders with greater certainty of the implications of failing to come to agreement on a matter and help to broker agreements. This would reduce the number of outstanding issues transferred to the determination period, which would be able to focus on the key matters around which agreement cannot be reached; have a positive impact on the resources of all parties that contribute to the determination process; and ensure that planning decisions are issued within 36 weeks. These are clearly interesting times for infrastructure planning in Wales, and the next few months promises to be busy as the DNS programme progresses in haste. Before the end of the year Welsh Government will explain how the feedback collected from consultation undertaken over the summer has shaped the system and issue the statutory instruments that will enact the DNS programme, and in spring 2016 PINS will accept applications for determination. We will be monitoring the progress of the DNS system over this period and its success thereafter, so please get in touch if you would like to discuss the DNS system further. You wait for a city region to arrive and then two arrive within a week. February saw the announcement of the Great Western Cities initiative and a few days later the Cardiff Capital Region (CRR) report. Whether one considers City Regionalism in its Welsh or South West Britain context, the concept of a City Region in Wales has finally come of age. Both approaches recognise need to develop projects, financial arrangements and governance mechanisms which more accurately reflect the lives of 1.5million people in South East Wales. The Cardiff Captial Region report outlines the stakes by taking a global perspective on how cities as economic entities compete for investment. A perspective that has been, up to now, lacking. 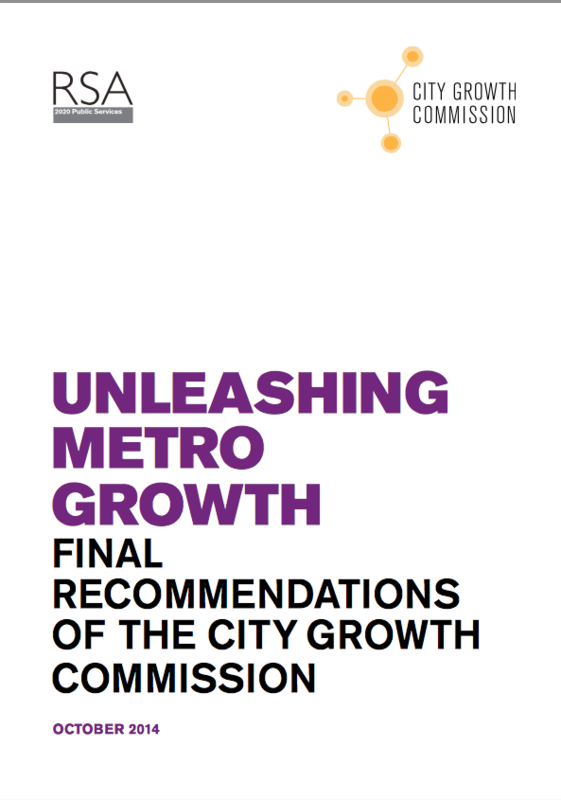 One of the persistent messages of the CCR is the importance of Metro as a catalyst project and it is commended that the report recognises the need to act regionally about transport, strategic land-use planning and economic development. The glimpses of the graphic identity in the CCR report also suggest that place branding should be within the remit of this new organisation to ensure we address the world in an unified vocabulary. These announcements are exciting, but let's not get too carried away. The 2014 report of the City Growth Commission made it clear that other City Regions are much more advanced. This mirrors my own experience. I worked for two of the ten Greater Manchester Local Authorities and was involved with regional prioritisation of strategic development sites as well as Metrolink extensions. That was over thirteen years ago. Since then the Manchester City Region has remade itself, significantly by focussing upon many of the priorities now outlined in the CRR report. By my own reckoning the CCR is probably fifteen years behind Greater Manchester and needs to create momentum quickly and then sustain it. Getting the new body outlined in the report operational quickly is going to be critical. There are a host of factors that could prevent this but my main fear is that the City Regionalism in SE Wales becomes distracted by Local Government reorganisation. A new body needs to be effective and operational as soon as possible. "One of the persistent messages of the CCR is the importance of Metro as a catalyst project"
Finally, my thoughts turn to Newport and its role within the Great Western City region in particular. It is going to need to assert itself as a credible counter-proposition to Cardiff and Bristol. I could draw comparisons here with Salford - Manchester and Newport - Cardiff. Newport needs to position itself on experience, not just price and proximity. The sound bite taken from the Leader of Newport City Council at the Great Western Cities launch was unfortunate, which was: "we have lots of housing land here" (therefore we are cheaper than our neighbours). Newport needs to be (and is) more than merely a Value version of Cardiff. Newport is beginning to awake from its recent slumber and been making bold steps by growing new tech businesses, getting people living in the city centre and expanding the city's hospitality industry, yet a broader narrative about the City's core role remains opaque. The new city region context creates both the need and the opportunity for Newport’s narrative to be clearly heard. South East Wales is now represented by two City Regions. The Cardiff Capital Region and the Great Western Cities initiative are both saying the right things, but the rest of the world is not going to wait for either to turn talk into action. Let's hope that this shift in mentality can deliver sustained economic momentum and tangible increase in quality of life. By placing Metro at the top of priority list, the CCR is essentially giving itself one opportunity to get this right. Get an internationally credible Metro operational and the rest will be made so much easier to deliver. Fail at Metro and almost every other aspiration within the CCR report becomes compromised.